Power, liquid, cream and granule like sugar, coffee packed in a long narrow pouch. Packing for different materials can be accomplished by different dosing unit. 2. 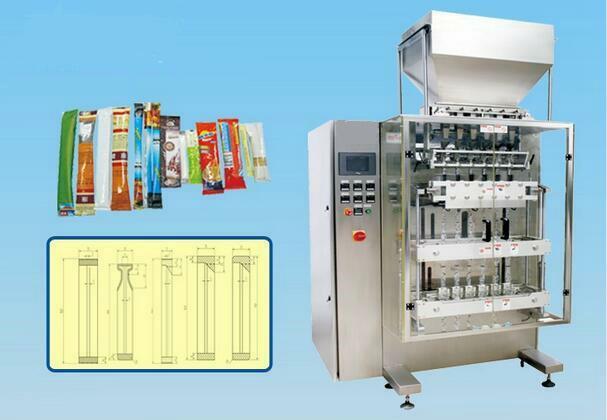 Motor driven heat seal film pulling system. *For powder Auger Filler min. stick pack width is 25 mm. Application︰ Power, liquid, cream and granule like sugar, coffee packed in a long narrow pouch. Packing for different materials can be accomplished by different dosing unit.